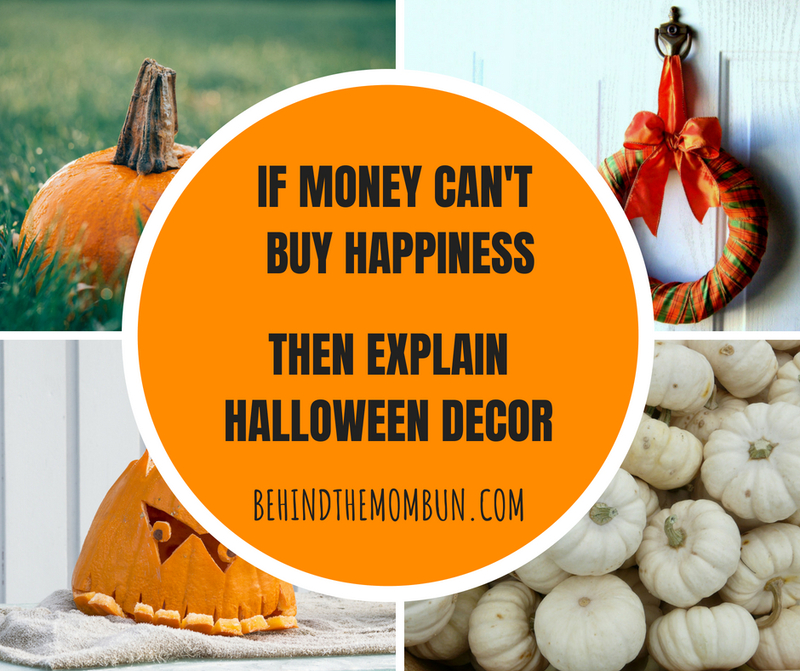 Decorating your home for Halloween can be so much fun. The best part about decorating for the holiday is finding fun items to incorporate into your existing farmhouse décor. These rustic decorations will be the perfect addition to your farmhouse style décor this season. Add some fun Halloween flair to your dining room table with a burlap table runner featuring a haunted house design. With a solid black design on top of burlap, this durable runner will instantly set the Halloween scene in your dining room. The rustic look of this fun Halloween table runner will fit in perfectly with your farmhouse décor. Simply add some pumpkins or a bowl of candy on top to complete the look. This fun outdoor light gives a new meaning to the term Jack-o-Lantern. Featuring an antiqued orange finish and a cute smiling face, this metal lantern will add so much farmhouse charm to your outdoor Halloween décor. Whether you choose to set it on the ground next to a few pumpkins or hang it on a hook in your yard, this fun lantern is the perfect way to light up your porch this Halloween. Decorate your wall or front door with an adorable graphic “BOO” sign. Topped with a fun burlap bow and featuring orange and black letters, this fun farmhouse sign will definitely enhance your Halloween décor this year. Have fun decorating your couch or bed with these adorable trick or treat pillows. With orange and black lettering on a canvas background, these simple pillows will add a little Halloween whimsy to whatever room you choose to put them in. Welcome your guests into your home with a beautiful doormat this Halloween. Your guests will love this pumpkin doormat – its so beautiful they may not want to wipe their feet on it before entering your home! No Halloween décor would be complete without a few jack-o-lanterns. Skip the mess of carving your own and get an LED jack-o-lantern instead. Decorate your mantle with a vintage-style Halloween banner to show your love of the holiday this year. This lovely farmhouse bunting banner uses classic Halloween colored letters and a cute jack-o-lantern accent, making it a wonderful addition to your décor this fall. With a patent-style design and vintage looking paper background, this awesome jack-o-lantern art print is quintessentially farmhouse! And you can choose from a variety of sizes and styles to ensure your print fits perfectly with the rest of your Halloween décor. Dress up your home’s doorway with a beautiful black feather wreath this Halloween. The lovely feathers are reminiscent of a raven’s feathers, making it a great addition to your rustic Halloween décor. 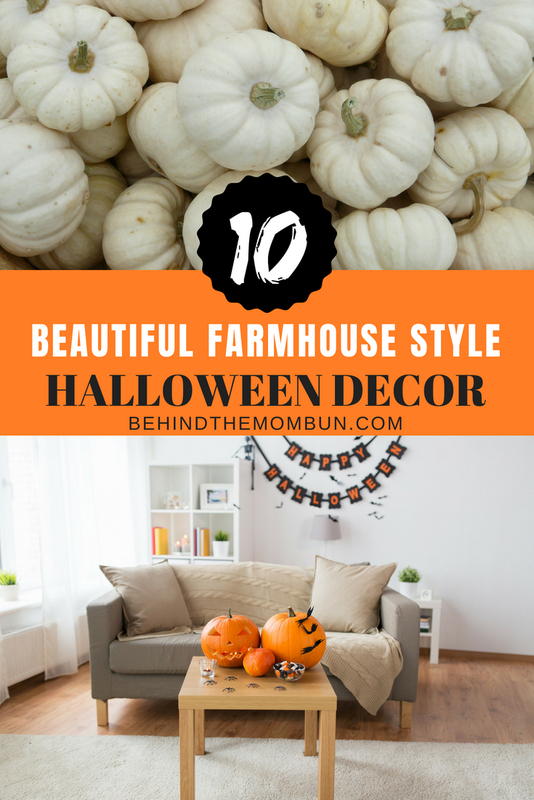 Top off your Halloween decorating this year with a few farmhouse-style white pumpkins. Their antique look and rustic stems will add to the farmhouse look of your décor – and you can keep using throughout the rest of the fall season.